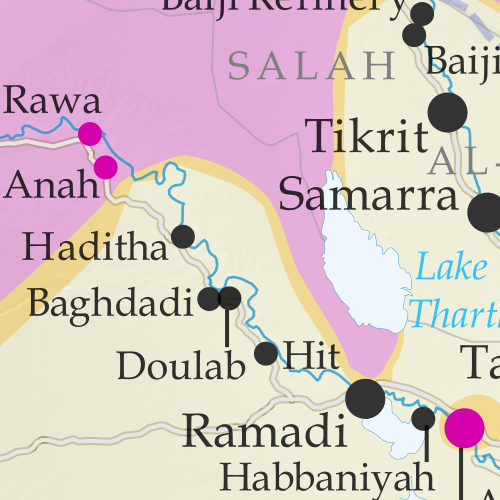 The Iraqi army and allies have driven the so-called "Islamic State" (ISIS/ISIL) out of Fallujah, its last stronghold in central Iraq, even as it continues to lose ground on other fronts. 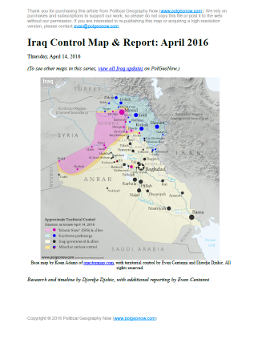 See all this and more on the latest update to PolGeoNow's concise, professional map of control in Iraq's civil war, including a timeline of changes since our previous Iraq map report of May 2016. Map by Evan Centanni, modified from public domain graphic (source). 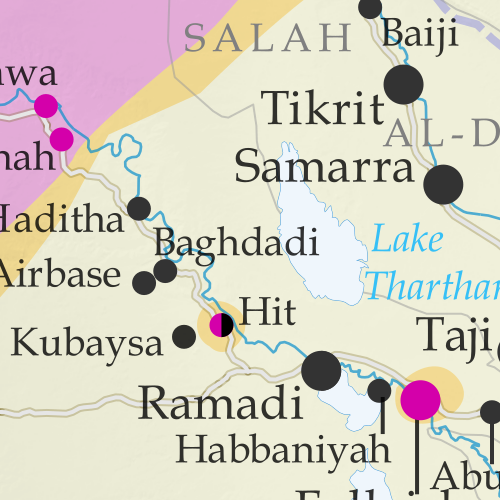 Since May, fighting in Iraq has seen small but potentially important advances by all sides, including the Baghdad government (with Iranian support), the "Islamic State" extremists, and Kurdistan's peshmerga. 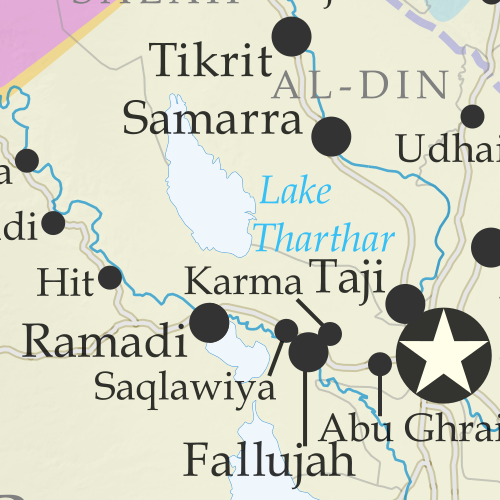 See all this and more on the newest update to PolGeoNow's Iraq territorial control map, which includes a timeline of changes since our previous Iraq map report in May. Categories: asia, conflict zones, divided countries, iran, iraq, isis, kurdistan, middle east, news, premium, rebel control, the "islamic state"